I have a reputation for being incredibly difficult to buy presents for. The thing is I’m just not a big fan of stuff for the sake of stuff. Not to mention I have obscure taste in music and clothing, and I also have a tendency to buy the things I really want for myself long before anyone else has a chance to. You can never go wrong giving me booze, but that’s not everyone’s idea of an acceptable gift to give. What I love much more than both stuff and booze, though, is real life experiences. Adventurous ones. The more adventurous the better, in fact. If you’ve got a friend or family member who’s a bit like me, I suggest you take this on board. Don’t just take my word for it, though – science tells us that experiences are far better than stuff at bringing happiness, too. Apparently, even in cases where the experience isn’t all that enjoyable at the time, it’s still more likely to bring lasting happy memories. 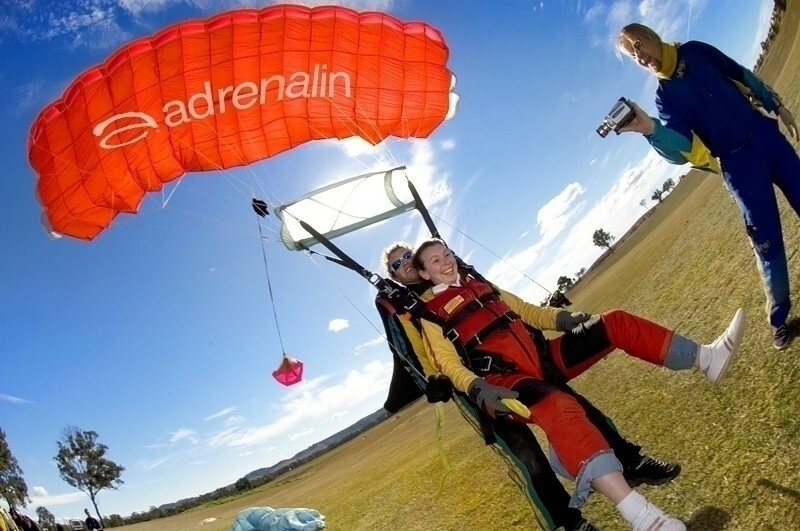 Adrenalin is well known as Australia’s longest running adventure site, and the go-to online source for over 2,500 experiences. 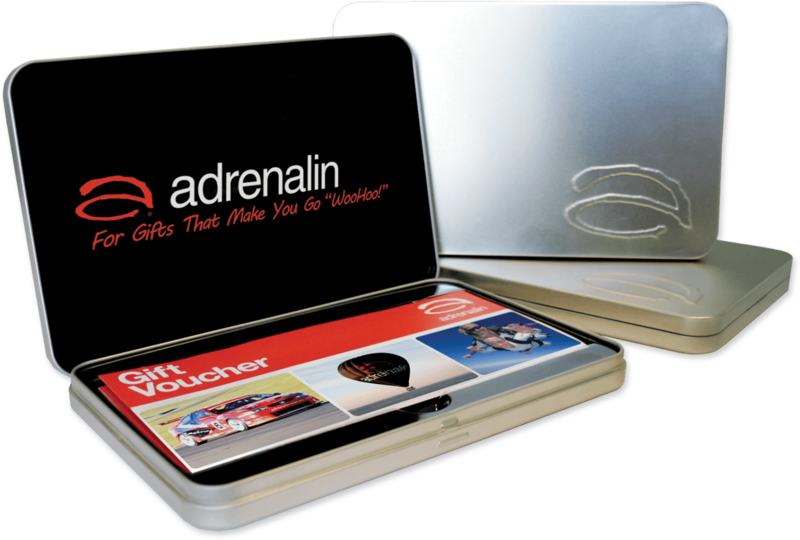 Adrenalin gift vouchers can be purchased from Adrenalin for any amount you like (though if you’re up for spending $225, it will actually buy you a $250 voucher at the moment) and can be used on any of the site’s experiences. They can be sent instantly by e-mail, or less instantly by mail in an awesome looking brushed metal box (pictured). A gift voucher from Adrenalin could see your loved one enjoying some rock-climbing, abseiling, zip-lining or caving, or even taking off on one of Adrenalin’s many skydiving adventures. 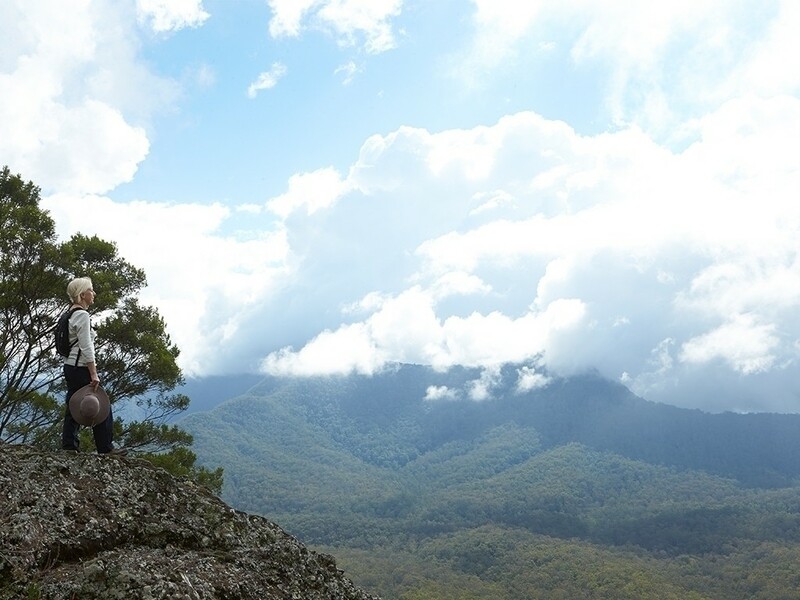 If you don’t think your loved one is quite up for any of those challenges, how about buying them a hiking experience from AussieHikingTours.com? 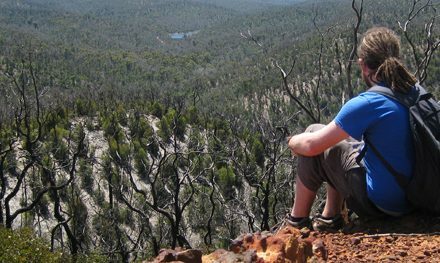 AussieHikingTours.com is Australia’s (and possibly the world’s) only online bookings portal specific to hiking-based experiences. Gift vouchers can be made up for any amount or even for a specific experience, and are customised with your name, the sender’s name and a personal message. They are delivered by e-mail to either you or the intended recipient. 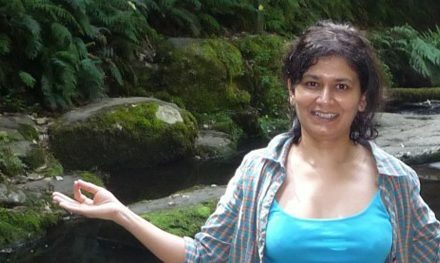 Buying your friend or family an AussieHikingTours.com gift voucher could give them the choice of over a hundred hiking (or even canyoning) experiences across the country. If you want to choose something specific for them, the options range from multi-day full backpack treks in Tasmania to day-hikes or multi-sport adventures around Sydney and the Blue Mountains, or even something more luxurious like a few days exploring Queensland’s Scenic Rim, with nights spent at Spicers Lodges eating and drinking locally sourced food and wine. If you think they’d prefer stuff, it might be worth checking out Aussie Outdoor Deals for some bargains. You can find it on Facebook here, or see what’s on offer (and follow if you like) in the sidebar on the right. As I’ve said in previous gift ideas posts (like here and here), though, another idea is to forget about giving anything at all, and just head out on a hike with your loved one instead. It doesn’t cost a thing and I guarantee they’ll absolutely love it. This post is brought to you by Bushwalking Blog and Adrenalin. Adrenalin will be providing me with a caving and kayaking adventure in January that I’ll be telling you all about. Keep an eye out for that in a couple of months. 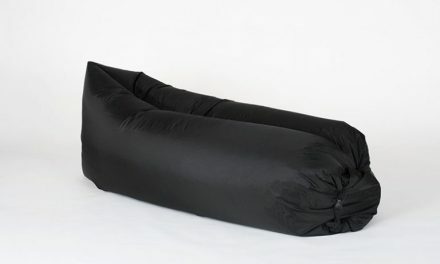 Also, most (though not all) of the bargains posted on Aussie Outdoor Deals are affiliate links, meaning that I receive a small percentage from all sales. 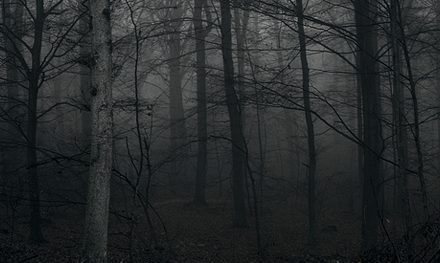 Got any other ideas for experiences to give to outdoorsy people? Please let us know by commenting below. PreviousHiking Etiquette: How about just don’t be a jerk?